Following advanced-television.com’s revelation that telecommunications and cable equipment vendor CommScope was in talks to acquire entertainment, communications and CPE technologist ARRIS International, reports suggest that CommScope is nearing a deal at more than $31 a share. The all-cash transaction could be announced as soon as November 8th, according to insiders, who point out that a deal hasn’t been signed and could still fall apart. A transaction would more than double the size of CommScope, whose market capitalisation is $4.8 billion. 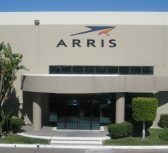 ARRIS has a market value of about $4.5 billion, and at $31 per share, ARRIS would have an equity valuation of $5.6 billion, plus about $1.6 billion in net debt. ARRIS nearly doubled in size in 2016 after buying rival set-top box vendor Pace for $2.1 billion.